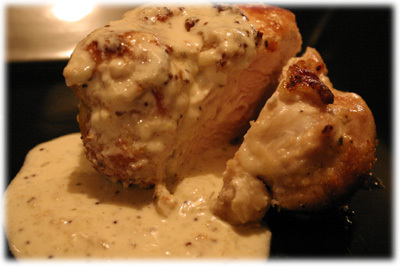 This creamy Mustard Sauce recipe is fantastic with grilled pork, chicken and fish. 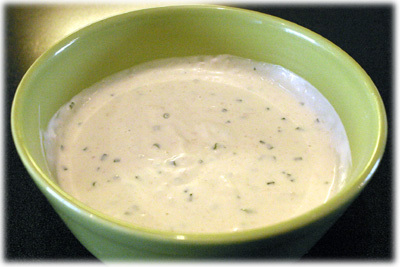 The picture below shows the sauce over a grilled chicken breast. The Swiss Cheese and grainy Dijon mustard are perfect partners and work together giving a slightly salty-spicy flavor. If you can't find Swiss Cheese try one of the packaged Italian blends of grated cheese instead. 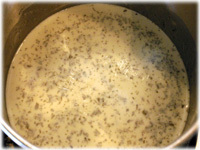 White wine and dried Tarragon leaves are simmered until slightly reduced before adding the whipping cream, cheese and mustard. This sauce is also recommended with any of our stuffed crepe recipes found here. Combine the white wine and tarragon in a medium saucepan and bring to a simmer. 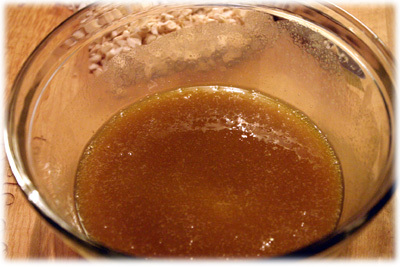 Allow to gently simmer until reduced to about 2 tablespoons, about 5 minutes after it comes to a simmer. Pour in the whipping cream and let it return to a simmer. Allow to simmer gently until it lightly thickens and reduces to about 1 1/2 cups, about 10 minutes after it comes to a simmer. 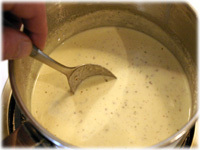 Watch the cream as it simmers and don't allow it to boil or bubble over. Add the mustard and cheese and stir until the cheese is melted. If you want the sauce a little thicker just add a little more cheese at a time until you get the consistency you want.